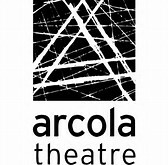 The Daughter-in-Law is back at the Arcola now occupying Studio 1, after a month in the smaller Studio 2 during the summer of 2018. It is one of D H Lawrence’s eight plays completed during his lifetime, although he’s more famously known for his poetry and novels. Jack Gamble’s revival some fifty-odd years since its first staging at The Royal Court in 1967 proves the central themes of marriage and family, set amongst Nottinghamshire’s mining community, are still relatable today. Lawrence introduces us to the Gascoyne family. We have the matriarch and her two youngest sons, Luther and Joe, Luther’s wife of six weeks, the eponymous Daughter-in-Law, Minnie, and neighbour Mrs Purdy. These are the types of people Lawrence would have known well, having grown up in the mining community of Easton himself in the late 1800s. A thick Derbyshire accent (dialect coach Penny Dyer) is in full use throughout the play, which does take some getting used to, especially for southern London types. However, it does also make for great comedic moments, particularly Mrs Gascoyne’s use of colloquialisms to the young women in her sons’ lives. Although complications to Luther and Minnie’s marriage are revealed very early on, it’s actually the relationship between the mother and her family members which draws the most scrutiny at the climax of the play with Minnie asking “how is a woman to have a husband if all the men belong to their mothers?” It’s an insightful statement delivered to sympathetic laughter, but at least one of the conclusions Minnie draws from this, that she would rather have a husband who knocks her about than one who can’t really love her, I cringed to hear. 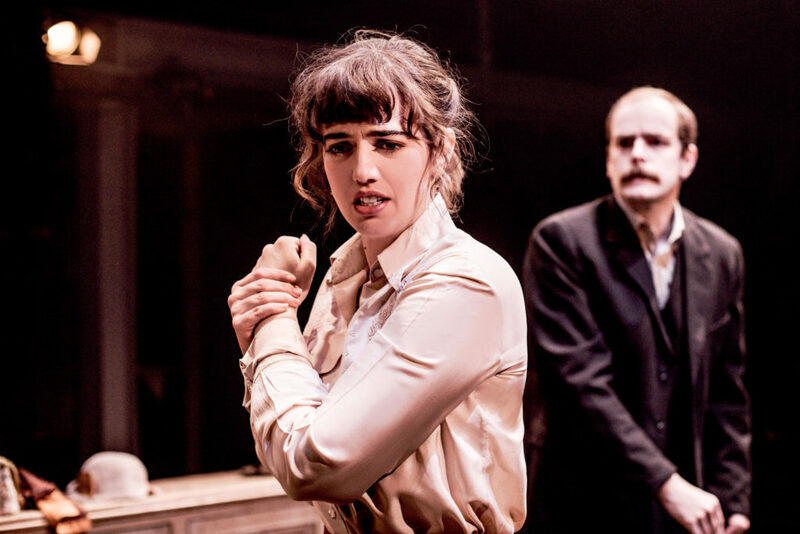 Ellie Nunn and Matthew Barker as Minnie and Luther each show their force in the relationship in contrasting ways, Nunn verbally but Barker physically. Matthew Biddulph as Joe Gascoyne gave the most natural performance and almost always felt like he could have ended each sentence with a cheeky wink. Each of the four acts are set in the dining room of either Mrs or Minnie Gascoyne’s homes. Louie Whitemore’s set is therefore unflashy but authentic viewed in the round. The lighting and sound also subtly, but cleverly work with the set to situate the play in both time and location. Geoff Hense complements lit candles on stage with warm orange glows. Dinah Mullen’s sound is most notable when recreating the sounds of the mine shafts in one tense moment. This production at Arcola Theatre offers another chance to see this worthy revival, a gentle reminder that the plight of the miners did not start or end with Margaret Thatcher, and an honest acknowledgement that marriage is rarely a simple fairy tale.